Flying Star Feng Shui adds a new "time dimension" to feng shui practice reflecting the fact that the subtle energies present in our living environment are constantly changing. The flying star combinations make it possible to respond to-or prepare for-these changing energy "situations." These methods produce impressive and rapid results and can both shorten periods of bad luck, while initiating or prolonging periods of good fortune. These concepts have previously been available only from a few untranslated or highly technical sources. Author Stephen Skinner has an international reputation as a populizer of feng shui concepts for Western readers. 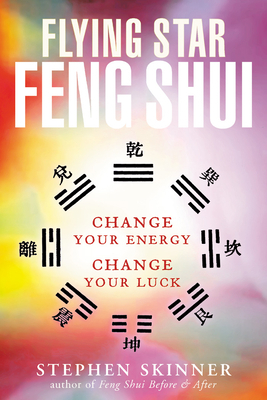 In Flying Star Feng Shui he introduces one of the most effective and popular aspects of feng shui practice today. Stephen Skinner is the founder and publisher of Feng Shui for Modern Living magazine, the world's best-selling magazine on feng shui, which was available in 41 countries and published simultaneously in English and Chinese. He is the author of the first English book on feng shui in the 20th century, The Living Earth Manual of Feng Shui and can claim to have introduced feng shui to the Western world. Stephen organized the first and largest London International Feng Shui Conference in May 1999 and was a key speaker at the 4th International Feng Shui Conference in Orlando in August 2001.